← Hamlet, Madness, and Misdirections! Walt Whitman is one of the first true American poets. 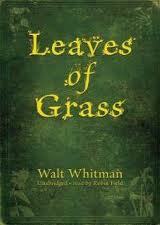 In the preface to his most well-known and influential work, Leaves of Grass (1855) , Whitman has this to say about the poet’s relationship to his/her country:”The proof of a poet is that his country absorbs him as affectionately as he absorbs it.” Here Whitman claims that the measure of a poet is in how well s/he speaks the voice of the country. Whitman in his poems seeks to articulate the idea of America and what it means to be an American. The other poetic device I want to highlight in the poem is free verse. Way back in my first blog post on the sonnet tradition, I introduced the term blank verse, also known as iambic pentameter – a line of poetry that contains 10 syllables alternating between unstressed and stressed and divided into five feet. Until to Whitman, poets followed strict rules governing meter – the rhythm of stresses and unstressed syllables. In his poetry, Whitman does something very radical – the lines of his poetry do not follow any rules governing meter. He uses free verse. In a way, we might think of Whitman’s use of free verse as defining him as an American poet. A characteristic that we share as Americans is the need to break away from the old, the rigid, the conventional. We prize the radical, the innovator, the one looks to express his/her individuality. So by writing in free verse, Whitman captures this facet of American-ness. Now lets go back to content of the poem, those people Whitman chooses to see as singing the carol of America. The similarity that binds all of these characters is that they are part of the working class. 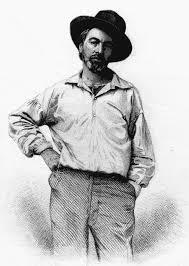 Whitman celebrates in this poem the laborer, whom he views as truly embodying the American. (These are the people, part of the society, often overlooked by poets.) Moreover, the song he hears is them at work – the sound of the carpenter sawing wood or the mason laying his stone. A really interesting, and progressive, part of this poem comes in line 8, when Whitman decides to include women at their domestic labor in his catalogue. The work that women do as mothers, as homemakers, as “the girl sewing or washing” contributes as much to America as the male labor performed outside of the home. In this way, Whitman’s vision of America is inclusive regarding gender. Finally, I want to unpack the significance of the last line of the poem: “Singing with open mouths their strong melodious songs” (line 11). In this poem, the metaphor that Whitman uses to describe his idea of America is a chorus. In a choir, singers have their individual parts or roles that come together to form a harmonious whole. For Whitman, America is made up of individuals but who form this nation as community. (Your textbook identifies this as the American ideal of e pluribus unum – “Out of many, one.”) To give a bit of historical context, Whitman publishes this poem in 1860, three years before the outbreak of the Civil War. So when Whitman writes this poem stressing American unity, he is witnessing his country dividing along political lines. Even today, we might question the accuracy of Whitman’s vision of America as harmonious – are there those whose voices are not included in the song of America? 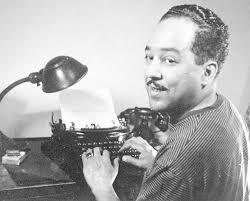 Hopefully, you have had the enjoyment of reading a poem by Langston Hughes before this course. He is one of my favorite 20th-centruy poets! Moreover, he is a native of Missouri, born in Joplin in 1902. (He actually lived in Lawrence, KS during his youth.) Taking up permanent residence in New York City in 1929, Hughes became the voice of the Harlem Renaissance – an artistic movement that celebrated the art, poetry, literature, and music of the African-American community. In his poem “I, Too” Hughes takes a difficult and fraught question – how to identify with a country that has rejected him? 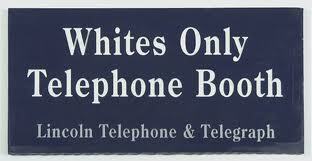 In other words, how can one reconcile being black and being an American? The opening line of the poem (“I, too, sing America”) is a direct response to Whitman’s “I Hear America Singing.” Hughes’ word-choice is important here. The first word of the poem, “I,” suggests an urgency to assert his identity. The “I” here is not just Hughes but is more general – the “I” is that of the African-American. Hughes’ use of “too” creates a sense that his song, his voice, has been overlooked and not listened to in the carol of America. 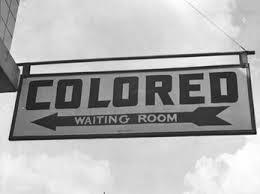 The black American experience, that defined by slavery, violence, dehumanization, segregation, is a part of our national identity and history, albeit one that is hard to accept. In the opening to his poem, Hughes rightfully demands recognition for this part of the American song, that has been mostly demeaned and neglected. The final line of the poem (“I, too, am America.”) mirrors the first: again there is this sense of urgency to assert his American identity. 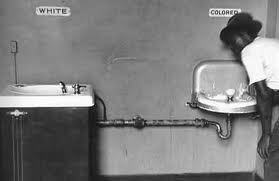 His experience, his story of racism and discrimination and of triumphing over it to claim his equality is one that is an essential part of the American tale. Although there are those who would deny his story and his American-ness, Hughes, through this poem, demands recognition of it. This entry was posted in Uncategorized and tagged America, American, catalogue poem, Feminism, free verse, Gender, Langston hughes, poetry, Race, Racism, Walt Whitman. Bookmark the permalink.